My kiddos started their new set of MTSS centers today! Farm Life! Coop Core Centers were a hit which makes me smile!!! Included are two math and two language arts centers that are common core aligned! If you are interested, the link is provided in the first graphic! 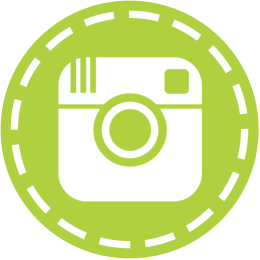 Do you Instagram? I do!!! I began this adventure in March of 2012. I wasn't really sure what I was getting into at the time. 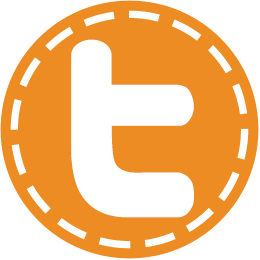 The site seems like a twitter account but with photos instead of words. In the past few months, Instagram has exploded. There are many wonderful teachers sharing photos of happenings in their classroom on the site/app. 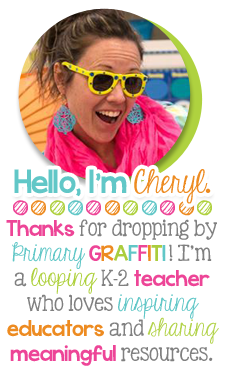 When I first started, I wasn't sure the direction this account would take so I signed up as Primary Graffiti instead of Cheryl Saoud. I thought I was being sneaky and that no one would ever know that I'm on another social networking site! LOL! I began with LOTS of personal pictures. Then I transitioned to pictures in my classroom. 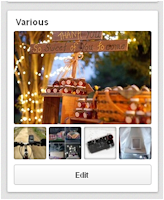 I loved how Instagram beautified my photos so I transitioned back to personal snapshots. Basically, I have no idea what direction I'm taking my Instagram account. I just know that it makes the pictures look amazing, and I can see so many wonderful pictures from accounts that I follow. 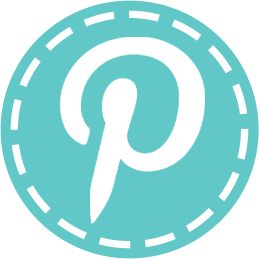 If you are interested in following along, you will get a melting pot of personal and school photos to view. 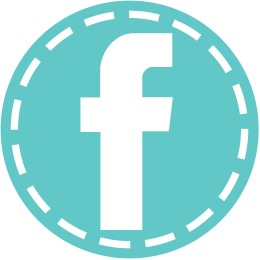 Click image below to link! 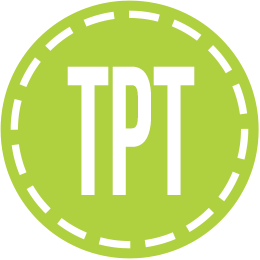 Teachers are coming together for Teacher Talk Tuesday on Instagram each week. 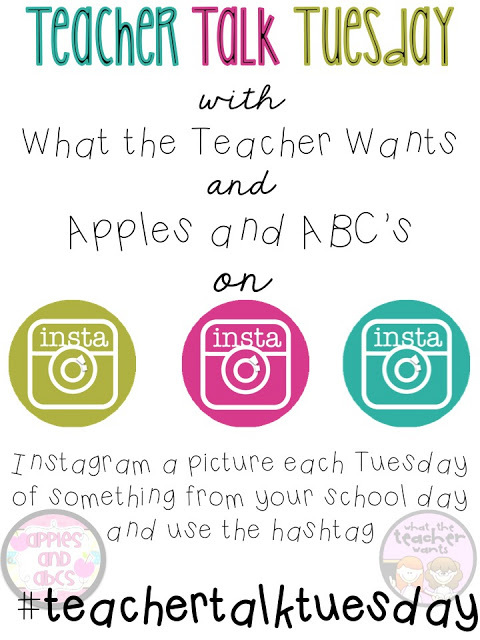 All you have to do is post one picture from your school day and use the hashtag #teachertalktuesday. 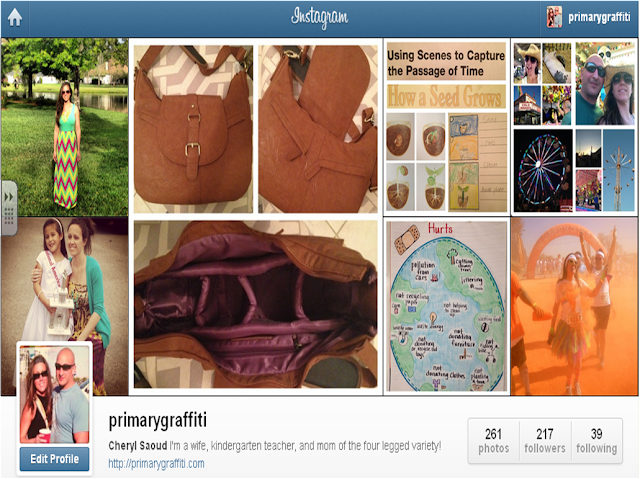 The hashtag will assist you in finding more teacher Intagram accounts to follow. 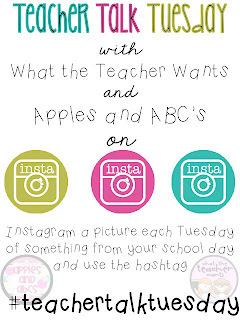 Both What a Teacher Wants AND Apples and ABC's are hosting a linky party so that you can find many wonderful Instagram users before Teacher Talk Tuesday begins. Hope to see you there!!!! 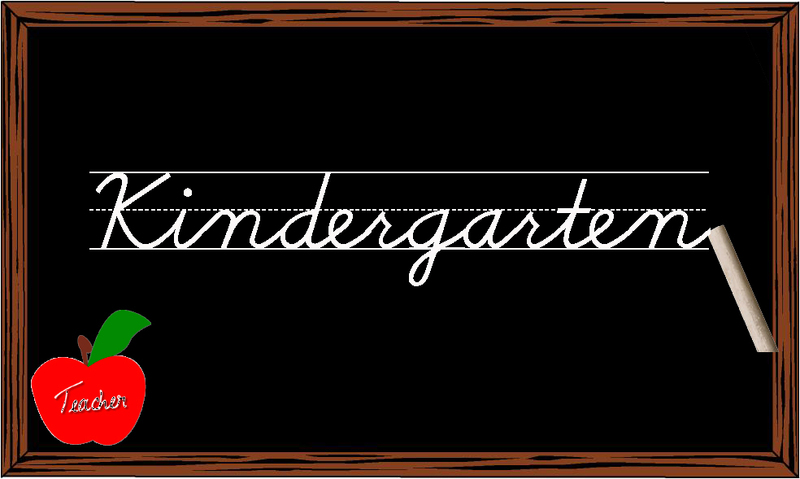 Rockin' Teacher Materials: Calling All Kinder Friends How would you like to win a free pass to the 'I Teach K!' conference in Las Vegas this July? Click the link above for a chance to win!!! Are you a Jane Austen Fan? I'm obsessed! Northanger Abbey is the first of Jane's novels to be complete for publication. A quote from her novel in the words of Isabella on friendship states, "There is nothing I would not do for those who are really my friends. I have no notion of loving people by halves; it is not my nature. My attachments are always excessively strong." I'm a bit late on my post for good reasons! I had a wonderful night out with a darling friend and her hubby! We get so caught up in life AND before you blink too much time has passed! Life changes drastically in a year. A loss of a loved one, a new significant other, and a beautiful new home. Each event, my husband and I dropped everything to be by her side. Last night was the first time in a year that we just enjoyed each others great company without a significant reason for the visit. We scheduled the double date last weekend. 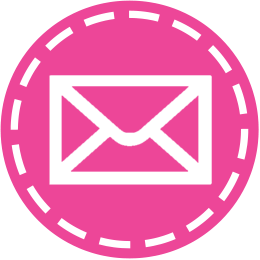 Determined to find a cute outfit for the visit, I stalked a few of my favorite online stores: Hazel and Olive Boutique, The Blue Door Boutique, The Mint Julep Boutique, The Red Dress Boutique, and 834 Boutique! 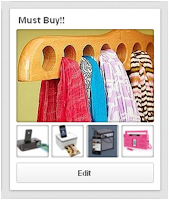 You have to follow of the boutiques on Facebook because once the item is posted, they sell out QUICK! 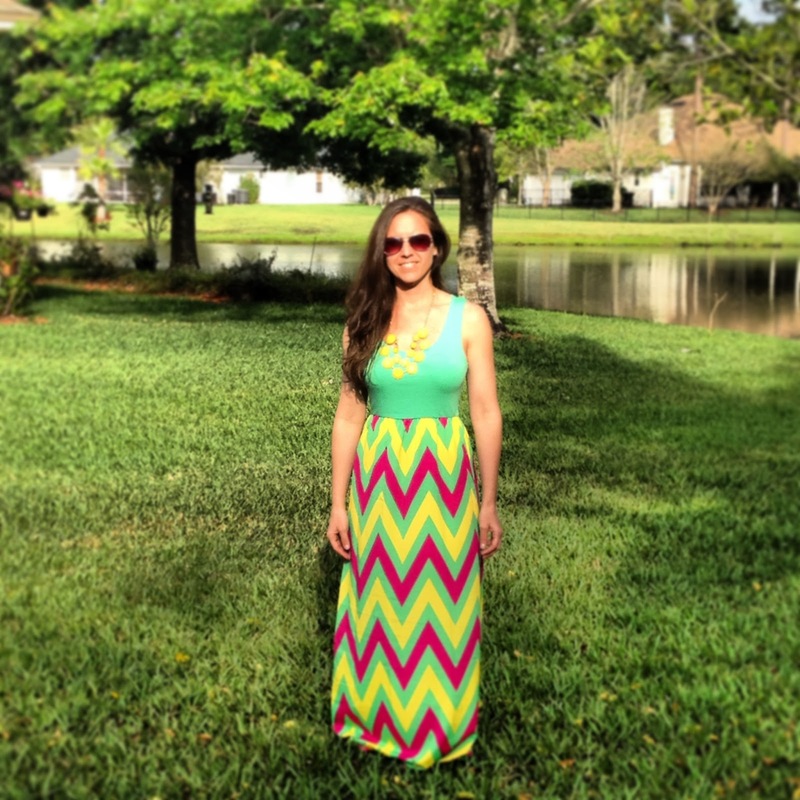 On Monday, I scored an adorable chevron maxi dress! I spent my entire lunch break fighting the bandwidth on my phone to get this precious dress for my night out at the beaches. Establishing independent activities for early finishers in Kindergarten has been a challenge for me this year. I've tried various activities to ensure students are working towards the standards while awaiting friends in the class to complete their work time activities. 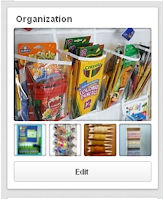 Recently, I pinned this cute picture on Pinterest from The Modern Teacher! I'm certain I need to an intervention but I find so many wonderful ideas on the site. These bins are from Walmart. They're ice bins! Brilliant right? I ran out and immediately scored a set of ten! I knew instantly that I wanted to create center like early finishers to cap off the remaining weeks of this school year. 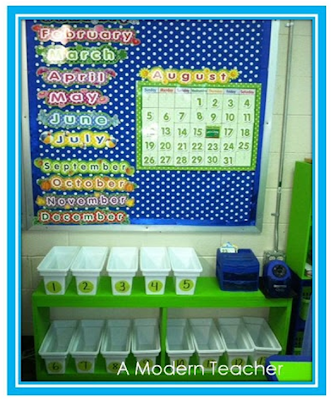 The bins are assigned to a student for an entire week. 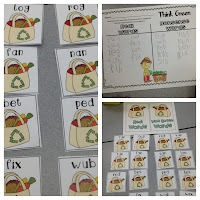 I rotate the the students names at the end of the week for a controlled choice. 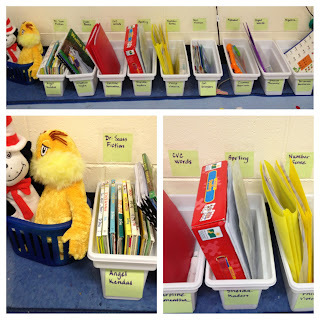 Each bin has several activities or books to choose from. 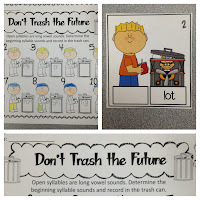 In addition to the bins, students have their library book, leveled books, and sight word rings to practice! After two weeks in rotation, the novelty hasn't worn off which makes this tired teacher happy!!! 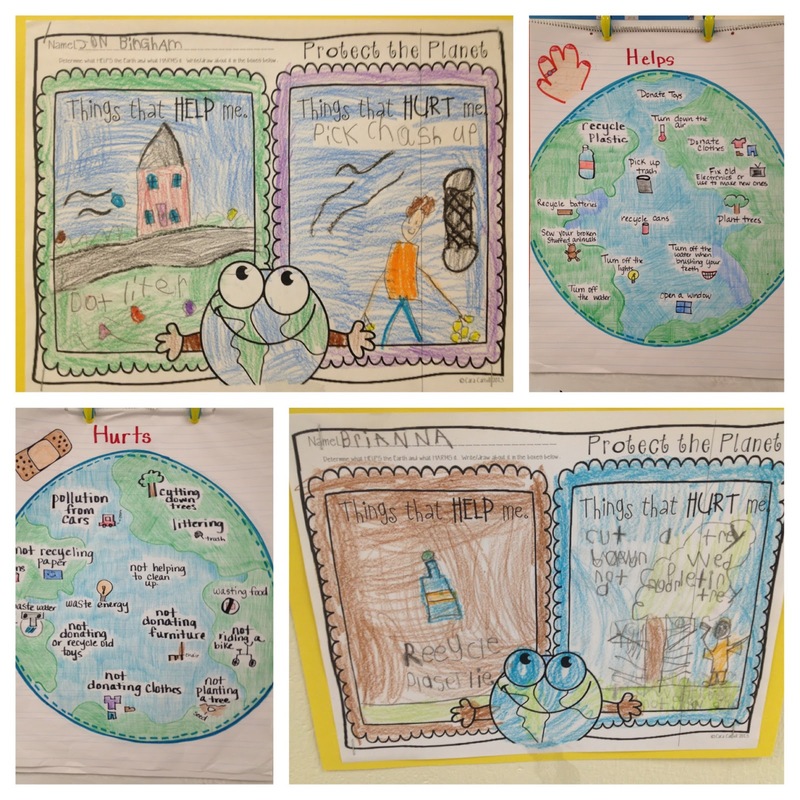 This past week the kids and I dove into Earth Day Learning! 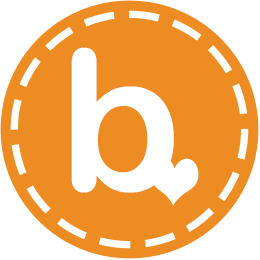 Between my Eco This! 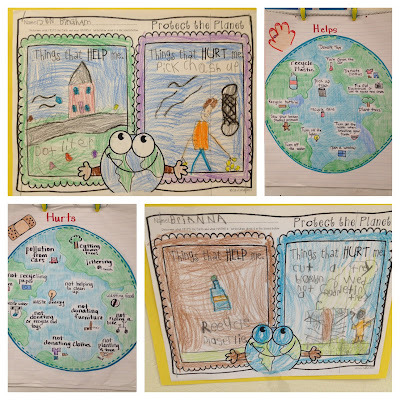 Core Centers featured on Thursday and Cara's What a Wonderful World Unit my kiddos are becoming a bit more environmentally friendly in their thoughts and actions! 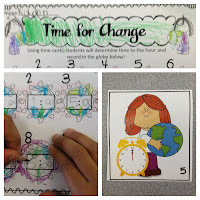 The kids assisted in the illustrations for my charts to align with her unit which was fun! They took such pride! I traced with a marker to give them a bit of pop! 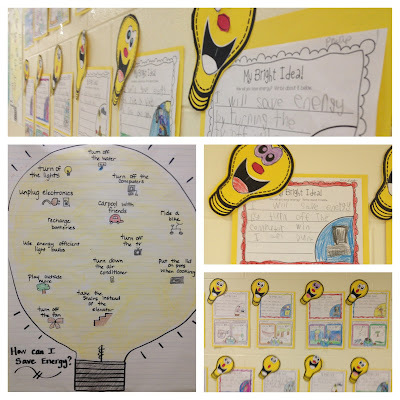 And a few pictures of our core centers! Last week I shared that I celebrated my anniversary. I'm over the moon about my new gift. 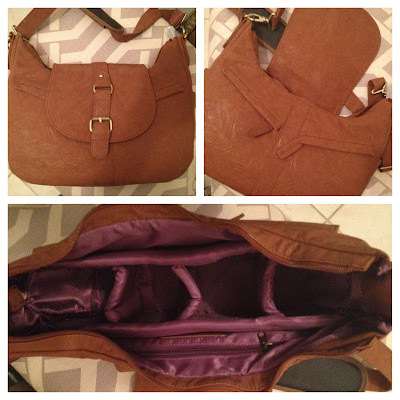 A Kelly Moore bag. I'm grateful for Kathleen from Growing Kinders and her FB friendship with my significant other! She was on hand to guide my hubby in his selection because he is a true dude with zero ability to make such an amazing gift decision on his own. HA. I'm thrilled to have a camera bag for my Canon Rebel. Now I can actually keep my lens attached while rolling around in style! With only a 34 days remaining in school, I've begun preparing for my annual countdown day! If you'd like to join me in our end of the year countdown, please grab a freebie copy! Both images have a direct link to the file! Don't forget to Link up with Kacey! Happy Almost Friday! 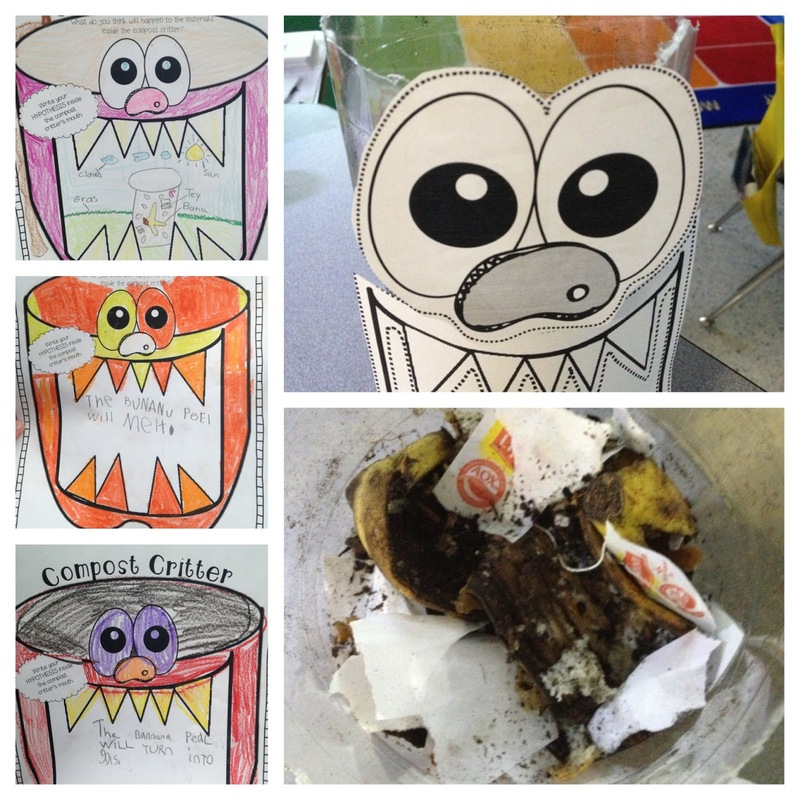 This week has been filled full of Eco Friendly Learning! I'll be back with pictures tomorrow night in my Five for Friday Post! 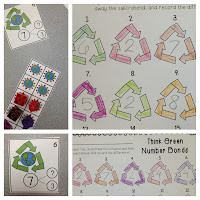 I just wanted to quickly share an additional set of centers themed for Earth Day Learning! I hope you love this set as much as my kiddos did!!! The link is available in the first graphic! I promised this center last Friday just a few short hours before my computer crashed! YIKES!!! I managed to save my files to an external hard drive but forgot to save a few important fonts! Double YIKES!!! After a few hard days of preparing for a crazy week, I'm up and going again! 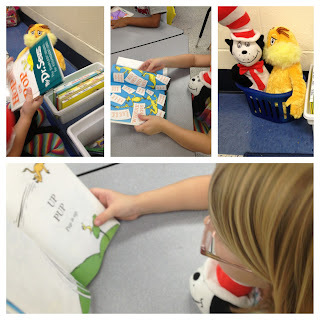 We finished this round of centers last week! I will be back VERY soon with a second set of centers entitled ECO-This! If you are interested, the link is embedded into the first graphic! I had intentions of coming here tonight to share my next MTSS Monday post, but I'm unable to wrap my mind around writing about an intervention activity this evening. 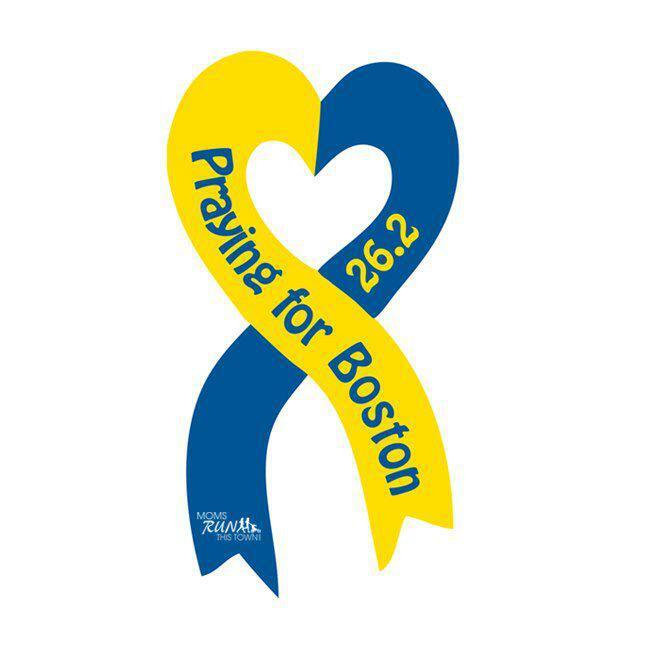 I'm deeply sadden for all those injured in Boston today! My heart goes out to the city, its residents, and all the many visitors from all over the world! 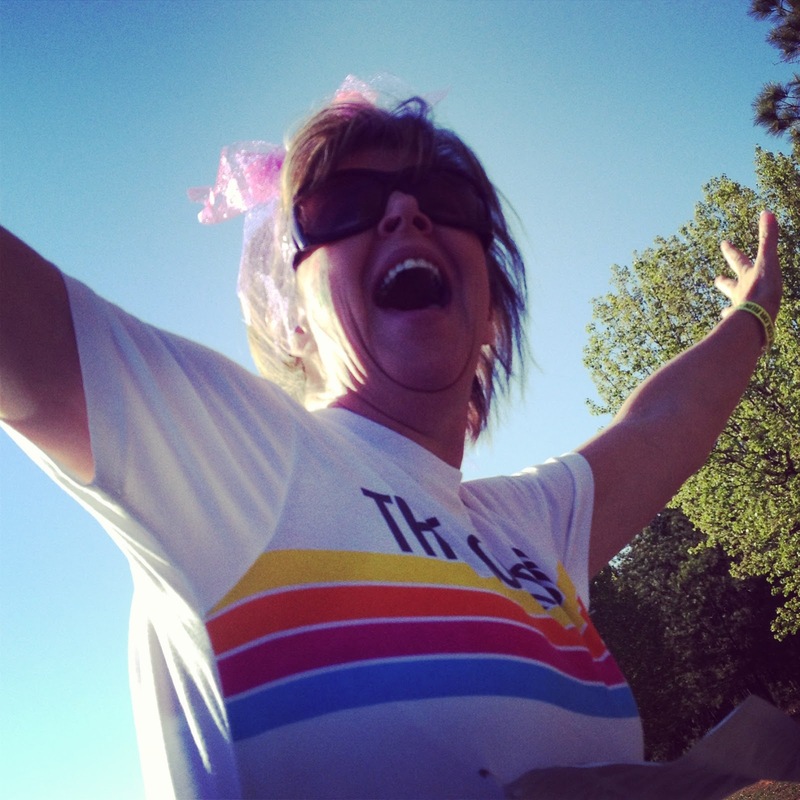 I couldn't be more grateful for the safety of my friend running the race! Stay strong!!! TGIF!!! 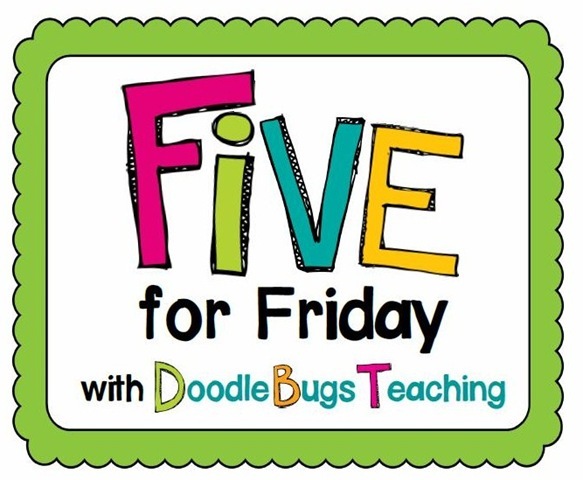 I'm back to join Kacey from Doodle Bugs for Five for Friday. WOW! It's been a long week with highs and lows for parents, students, and myself. Monday morning I found out that I will not loop to first with this group of students due to budget. I have a remarkable class. Now I'm getting my mind right for this upcoming year! I stayed late all week to work on dumping stuff I saved for the loop. A spring cleaning of sorts! I've been absent from the blog int he past few weeks due to non teacher related events in my life. The hubs and I celebrated our anniversary. I'm truly blessed to have this man in my life for eight wonderful years! We made it official Easter Sunday three years ago which couldn't be more perfect since the day signals "New Beginnings"! 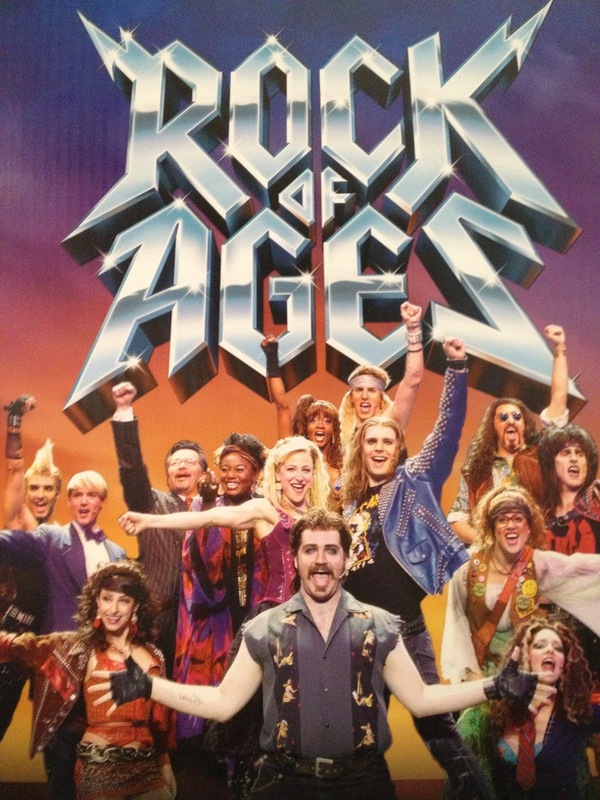 To celebrate our Anniversary, we bought tickets to the Broadway production for Rock of Ages! Best Show EVER! 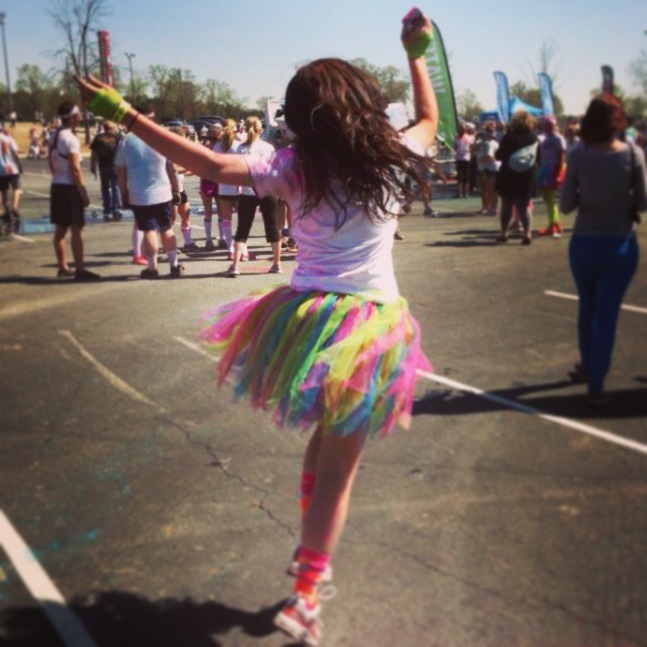 The following day, I loaded into my car and traveled to Atlanta to meet some friends and participate in the Color Run! 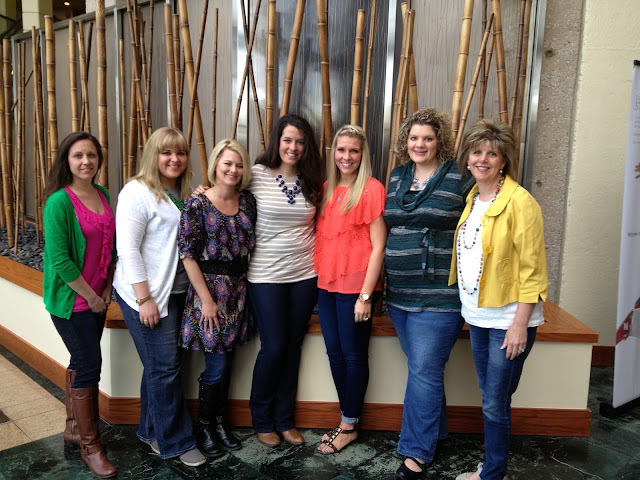 From Left to Right: Me, Kathleen (Growing Kinders), Deanna (Mrs. Jump's Class), Katie (Queen of the First Grade Jungle), Hope (2nd Grade Shenanigans), Megan and Kim (Kinder Gals). Atlanta was a busy place! We sat in the car for hours to travel 11 miles. No kidding! 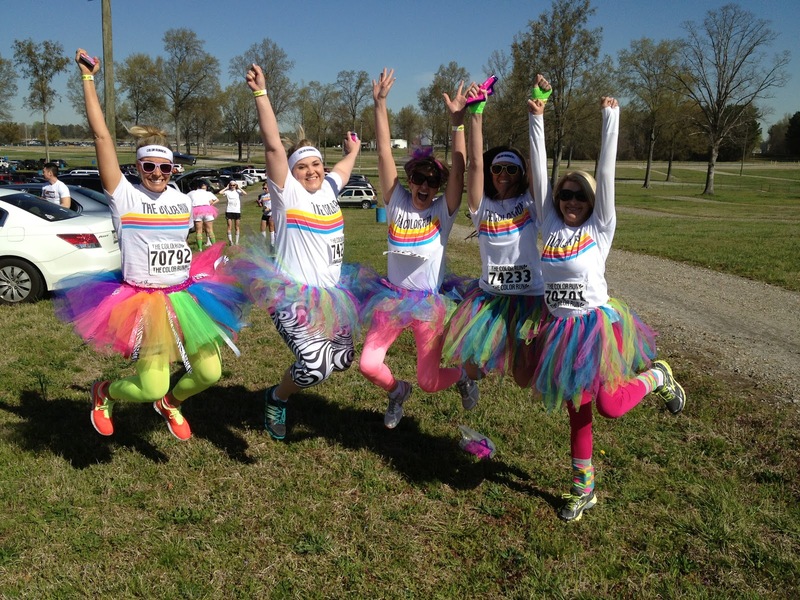 So what better than a Chinese Fire Drill with adults in tutus! 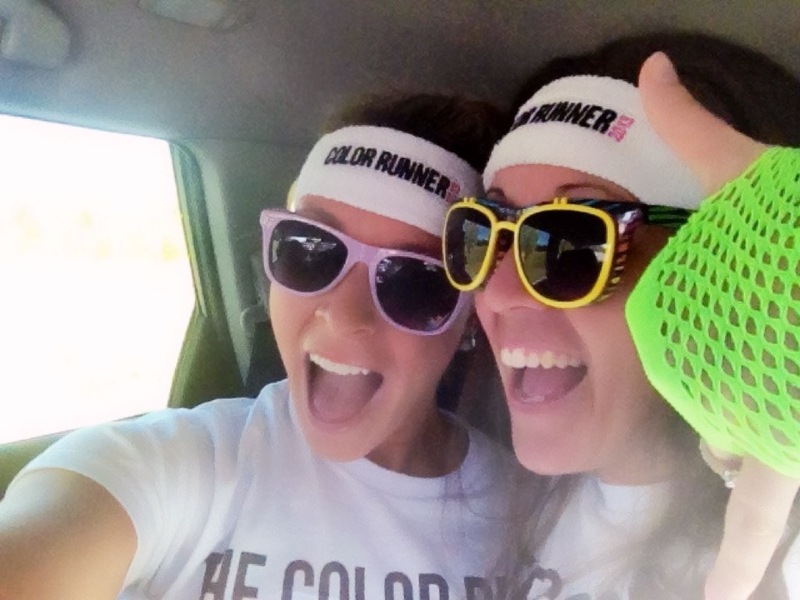 The race was truly a blast! 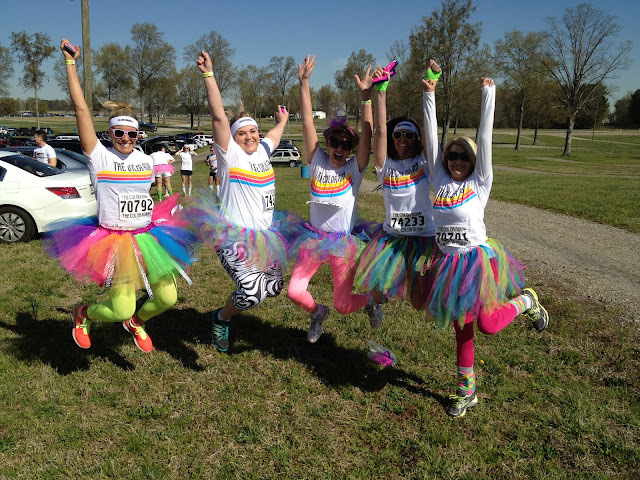 I can honestly say it's the happiest race on the planet! At school on Wednesday, my Kindergarten team and I prepared a song for the intermediate teachers! An adult FCAT pep rally! Everyone has worked so hard to prepare for the BIG state test on Monday. The morning of our meeting, we decided to pull together an impromptu performance. During lunch we practiced once. We have zero singing skills and minimum dancing skills, but we managed to make our staff laugh. That's what its all about, right!?! 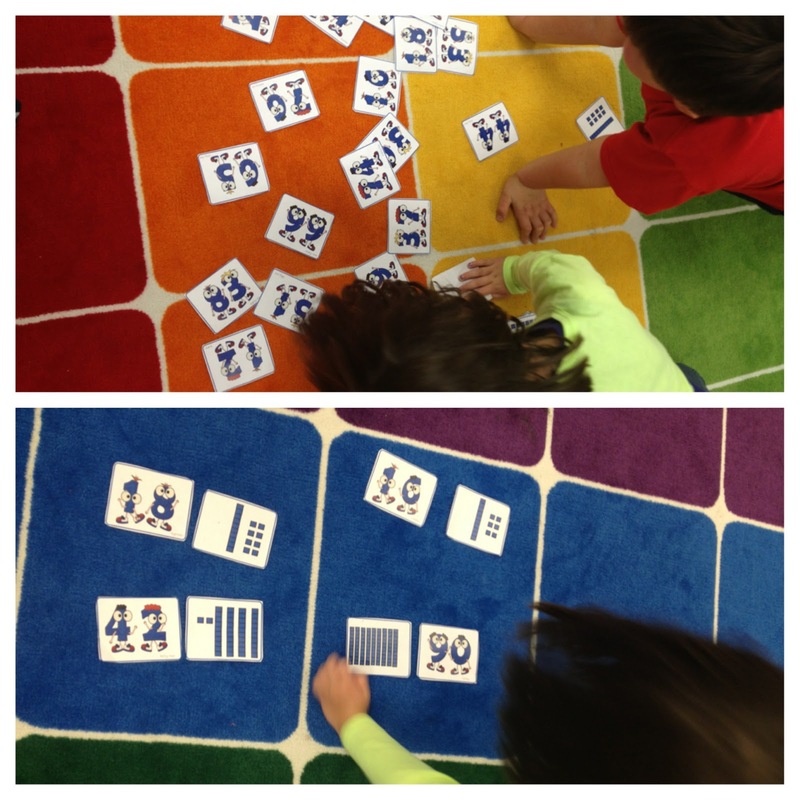 Finally, My class began a new set of core centers this week. I plan to have the set posted tomorrow. Here's a peek at the content inside the pack! 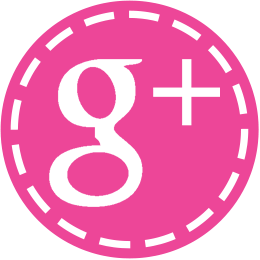 Don't forget to link up or read all the fabulous post at Doodle Bugs!